App for taking mock tests by students of Haldighaticompetitionclasses gangapur city. all topic wise tests available.Tests forSSC, Banking and Railways available. Practice for govt exams using student app of SSI Classes. Prepare for Govt Jobs exams and Skills with ResoMEx Divisionstudentapp. Take online mock tests in coaching app for PMT SGNR students. Official Android app for readers classes sikar rajasthan . 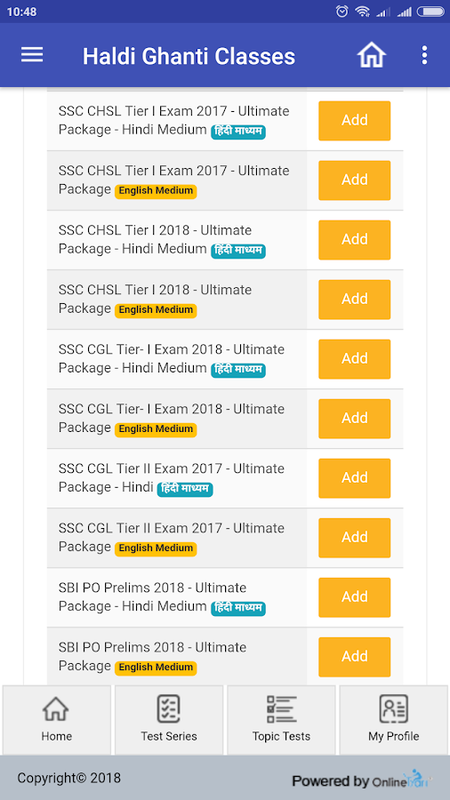 Coaching app for students of saini computers Hinduan City.Studentscan access ssc, banking and other govt exams mock teststhroughthis app.